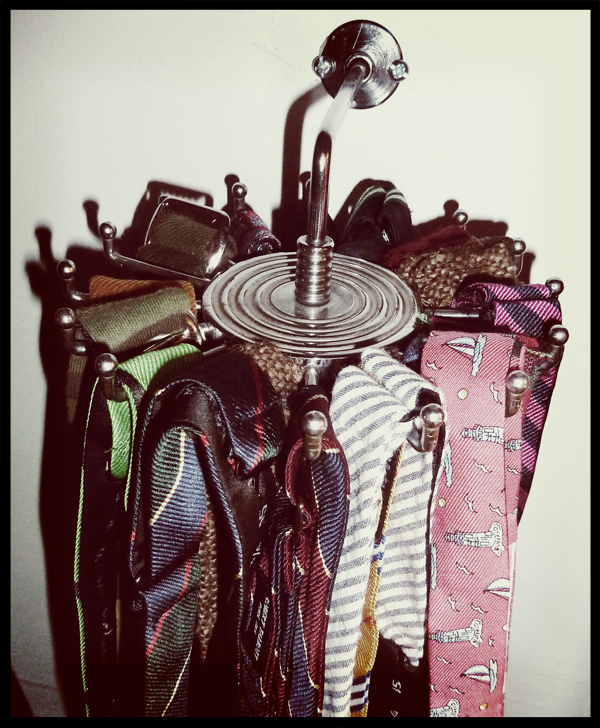 The tie rack was getting a little crowded in the closet, so the in-laws gave me Grandpa’s old tie rack so my bow tie collection could have their own home. Took some work to actually get it attached to the wall, but that’s why I’m a Dandy and not a handyman. Very cool. I like sailboats & lighthouses. Looks like you’ve got a fine collection.